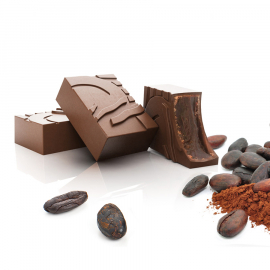 As one of the benefits of anis is stimulation of the appetite, the sweetness of the chocolate can be enjoyed before a meal. 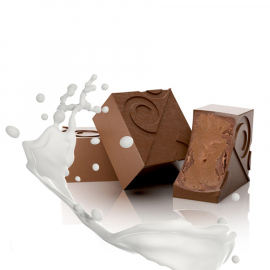 Its fine and pervasive flavour will also aid with digestive problems. 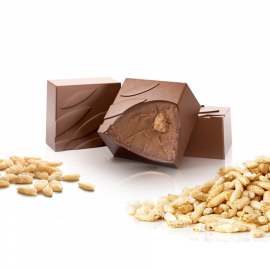 The high cocoa content of the chocolate brings out the sweet, subtle flavours of the wine in combination with the hazelnut. 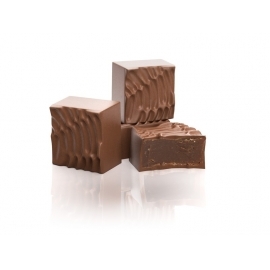 This chocolate is enlivened with an undulating, auburn design. 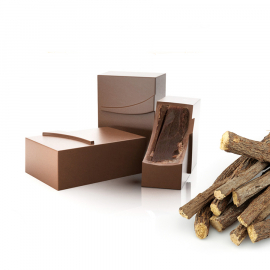 Extracted from strongly aromatic roots, liquorice naturally sweetens this firm ganache coated in milk chocolate. 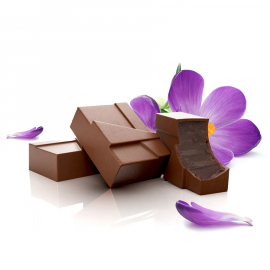 The taste persists on the surfaces of the lips. 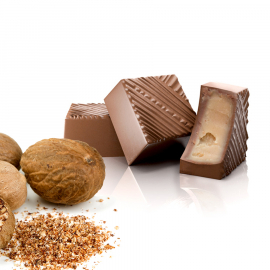 The soft and sweet tastes of milk chocolate are balanced with hazelnut paste infused with nutmeg, a very aromatic spice which has a taste somewhat similar to Cayenne pepper. The combination melts in your mouth. 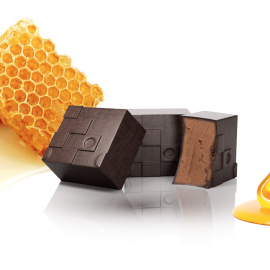 While eating this treat its flavors are progressively released into your mouth. 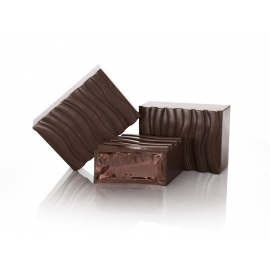 The unmistakable taste of milk chocolate is sublimated by a firm coffee ganache. 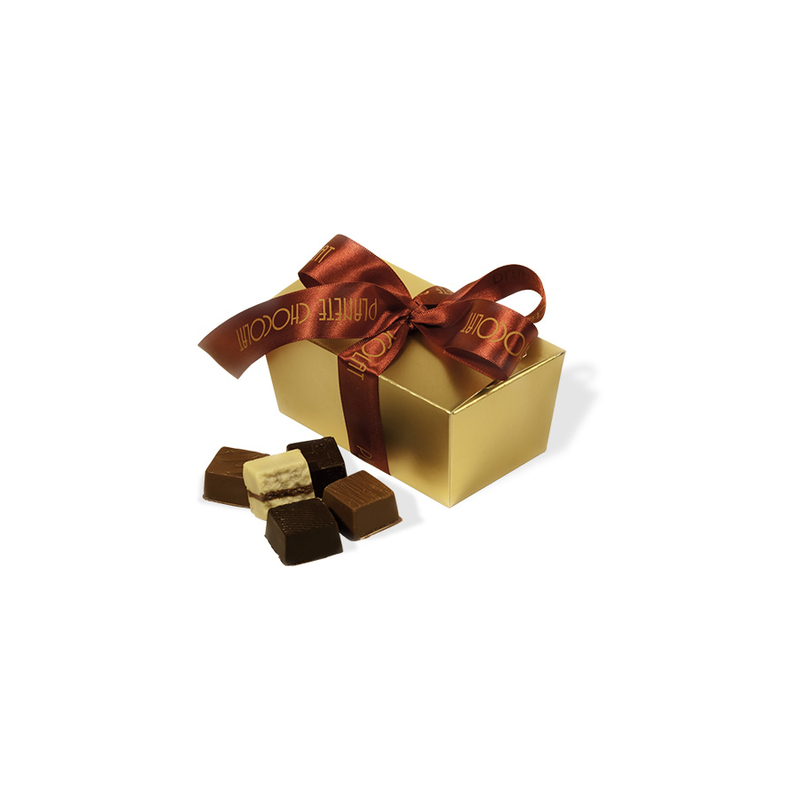 This one is enriched with the fine taste of caramel. 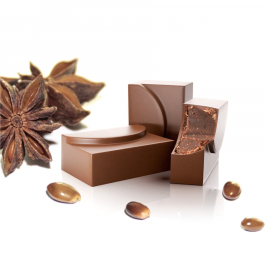 This is the “Crescendo” praline.